Getting your content in front of the right audience is what makes your business work. One of the best things you can do as a marketer and online entrepreneur, is get to know exactly who’s visiting your site. This can give you a lot of insight into the best way to communicate with them. It’s almost like going behind the scenes and spying on your business. It’s yours, so why not? Knowing vs not knowing sounds like a no-brainer. For your site to be on point and reach your desired website visitors, you should be getting to know which pages people like and don’t like, what kind of audience you’re attracting and a little bit about what they’re thinking when they land on your site. It’s kinda like seeking out your website value. Whew! That seems like a lot of investigating. However, it’s all about business. Here are some things you can do to find out more about what kind of website visitors are tuning in. Stats on bounce rates, return rates & length of time on site. These are the stats that will tell you a lot about what people think about your content. Think about it….if a lot of people land on any of your pages and turn around and leave quickly, then you’re probably not catching or keeping their attention. The good thing is, this can be fixed. But the first thing is knowing WHAT to fix. Look at your analytics using Google. Google Analytics is free (so no excuses allowed for not doing this) and will tell you all of the data you need to know. Now, if you get a lot of traffic landing on certain pages and stay for a while, then that probably means that your website visitors like what they see and are staying to soak it all up. Likewise, if you have a great amount of visitors that just visit once and never return, then that probably means your content isn’t really appealing enough. Or, maybe they just didn’t find what they were looking for. At any rate, the objective here is to keep people coming back for more on a consistent basis. So it’s a good thing to know your internet traffic statistics. What keywords are people typing in to get to your site? I recently found some interesting discussions on the warrior forum about how to find out what keywords your site is ranking for. I tried different sites, (those which are easy to use of course) and the two that I recommend are SEObook.com and RankCheckerAce.com. SEO Book has a lot of information regarding keyword research and tools, seo, and spying on your competition. Some marketers swear by Google Webmaster Tools which looks pretty simple to use as well. Search for your keywords first. Then build your content around the keyword (s) for better ranking. The keywords people are using to get to your site can tell you a lot about what kind of information your website visitors are looking for when they stop by. Which pages and posts on your site get the most traffic? Again, finding out this info will show you what people are most interested in. A page that is often referred to or revisited, probably means it’s the kind of content that your users want to see more of and you should take heed to this. Give your audience what they want. Look over your traffic sources regularly. Where are people coming from? That’s a good question. Sometimes other sites will send you traffic on a regular basis. See if you can get in contact with those sites. If you are getting a lot of website visitors coming from direct “type-in browser” traffic, that probably means your social media marketing and branding efforts are kicking in. As an entrepreneur, it’s your job to find out what is working, then put more time and energy into making it work even better. I recently set up an account over at Rank Checker Ace for a new site to get a weekly report on it. These are just a few tips for using your analytics and data to figure out who’s coming to your site, what they want from your site, and if they are satisfied. Make sure you review this data regularly because nothing stays the same in business. As a matter of fact, things can change quite a bit in just a short period of time. Thank you very much for this info. Will be trying out these tips to see how my sites are doing. Always curious but clueless exactly how to find out. I will try and use this one Cheryl.. This is very Informative.. Since I am a blogger platform user, I use Google Analytics to track my blog’s performance, just for information. I write not as a marketer or a business promoter. I write to share what’s in my mind, my experiences, and everything that comes into my path and share them liberally on the web. Unexpectedly, online advertisers keep on contacting me and let met advertise their wares or products. I just keep on writing quality posts. I have been trying to track my visitors and I’m having a terrible time. I tried google analytics but it did not work, I don’t know if the problem is with my blog or the code they gave me. Thanks for this post, it is very informative! I have most certainly enjoyed reading this post. It’s very informative and helpful. It is good that we have all these tools that we can use to learn more about our visitors. It greatly helps us in working on our content, probably the design, just to name a few of the aspects that may benefit from knowing how the behavior of website visitors. 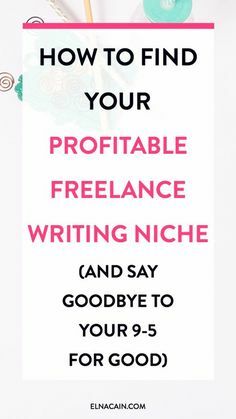 This is really a great information for bloggers. Thanks for sharing it. Fernanda check and see if your code is in the right place. Sometimes you have to search for where to put the code depending on your blog theme. I love articles on SEO and improving blog search rankings because I’m personally very interested in perfecting it. Other than bounce rate and length of time on the site, I like to see how many page views per user too, they help to contribute to letting me know how interested my readers are in my content. This is very helpful. I don’t use google analytics and I only base my views from the stats page on blogger. Thank you for sharing. This will help know and understand blogging more and it will encourage me to produce better content. Google Analytics can really help you break down your stats. I’m a bit stat conscious which I use as a basis to determine which post I should promote more or if I am connecting with my audience. I am an SEO specialist and you have great points here. Good job. Thanks!